Dubai, United Arab Emirates, 1st April 2019 – What if a smartphone helped you capture photography masterpieces you never knew were possible with a smartphone camera? 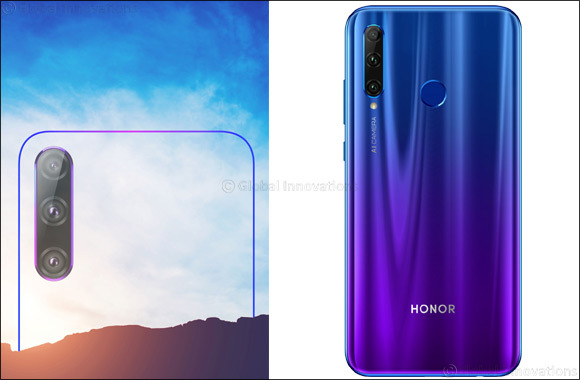 HONOR, the leading smartphone e-brand, is coming soon with an all new HONOR 10i that will see innovative camera features as part of its offerings solidifying HONOR’s commitment to an enhanced photography experience for the millennials and the Gen Z of the Middle East. As the visual world continues to expand and evolve, the key to staying relevant is in decoding the style that will define this year's imagery. Staying in the Middle East, we are exposed to some beautiful landscapes like the charming deserts, the pristine beaches and skylines that tower over clouds, it is almost impossible to resist taking pictures or striking a pose with backdrops so scenic. HONOR corresponds to the need of the hour to bring to you a camera that is intelligent enough to automatically apply the best settings to achieve the perfect shot at one go and reduce the painful number of retakes and edits. HONOR is a brand that continuously strives to push the boundaries in the smartphone camera category offering some of the most advanced features to date. The new HONOR 10i, the brands newest entrant in the market will be targeting customers who have an eye for detail and performance. The soon to be launched HONOR 10i targets the photography enthusiasts sporting a total of three lenses at the rear end that captures wide angles, modifies exposure time and applies color adjustments to provide sharper imagery to create professional-grade photos. Furthermore, the smartphone will boast of an enhanced dual-tone gradient design, an upgraded selfie camera and an unparalleled smartphone experience at a competitive price. Keep your eyes and ears on the grind to see when this smartphone with exemplary camera efficiency and power hits the market to nail your most perfect shots.